New KMADD ~ our rennovations are now complete! After a short break from SL, KMADD is back! We got new store packed with your favorites and many new releases yet to come. Browse, relax, dance, SHOP! 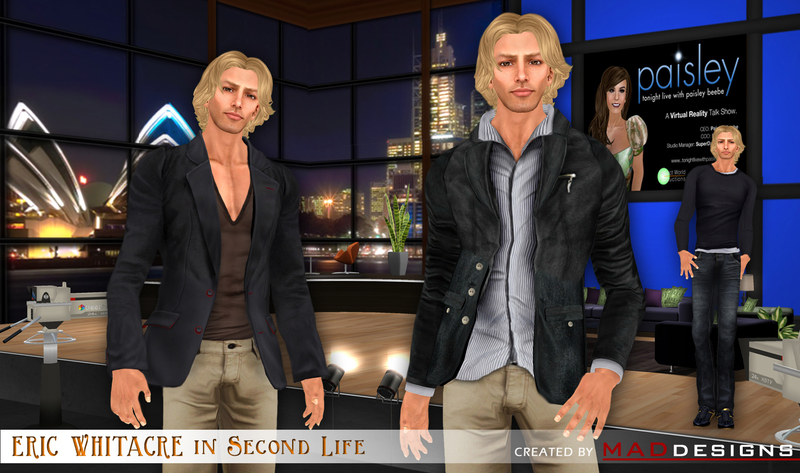 Change your look in an instant with one of the leading appearance & style stores in Second Life. 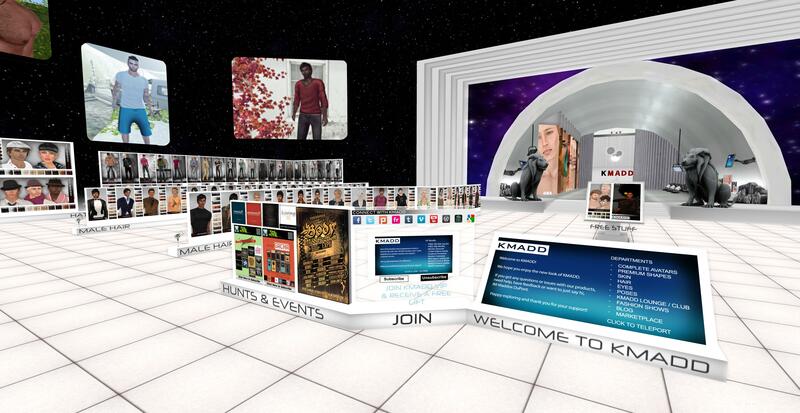 Our welcome area has new releases accessible at your finger tips, easy to use teleport for various departments, social media, group joiner and hunts, events and freebies. To celebrate opening of KMADD we got a free hair for female and soon for male available to our visitors. Watch this space for monthly giveaways – KMADD Enterprise group members ONLY. 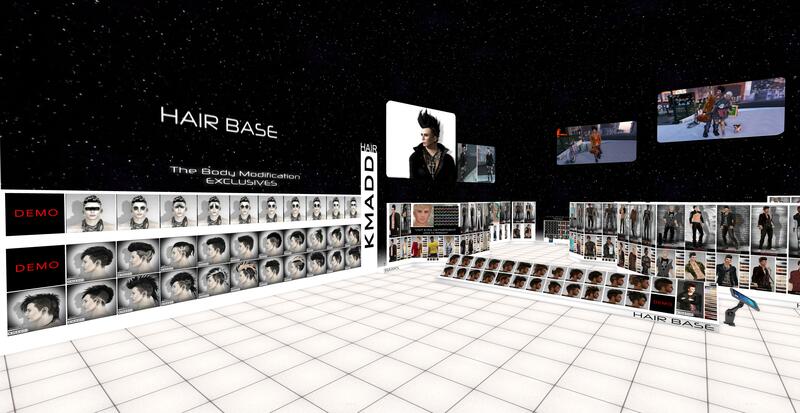 KMADD is well known brand for hair in Second Life and offers styles for both male and female: couture hair, hawks, hair bases, classic styles, short hair etc. 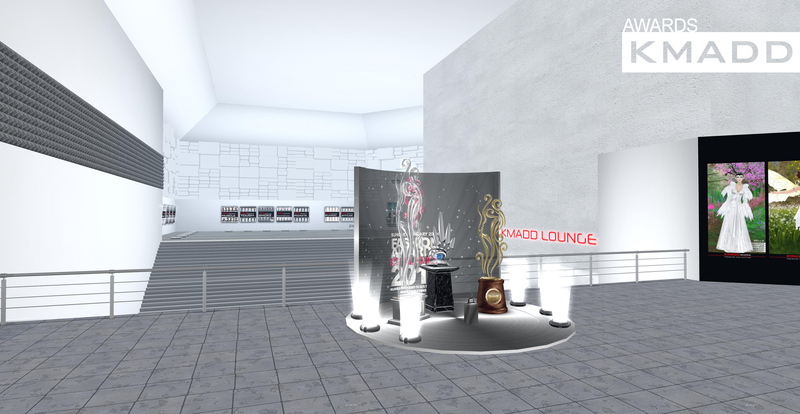 KMADD offers best value shapes in Second Life. 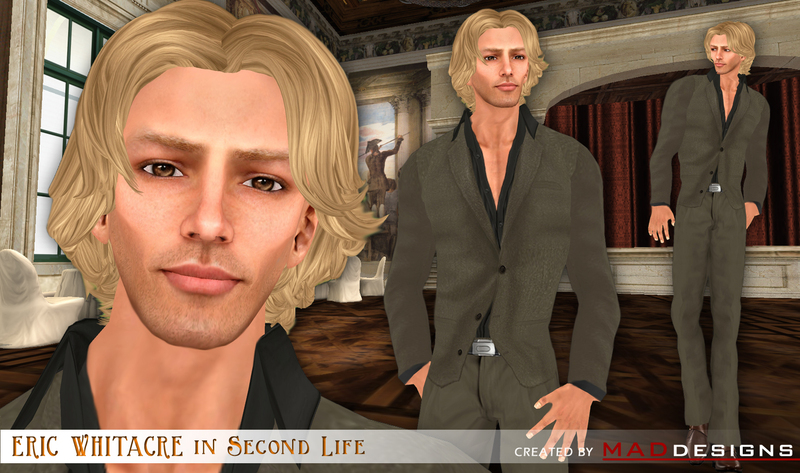 You got a friend who has just joined Second Life? For the fraction of the cost get: skin, shape, hair, eyes and jaw/eyebrows all in one pack, perfectly adjusted, ready to wear and at FANTASTIC Value! The Best Value Shapes are @ KMADD! 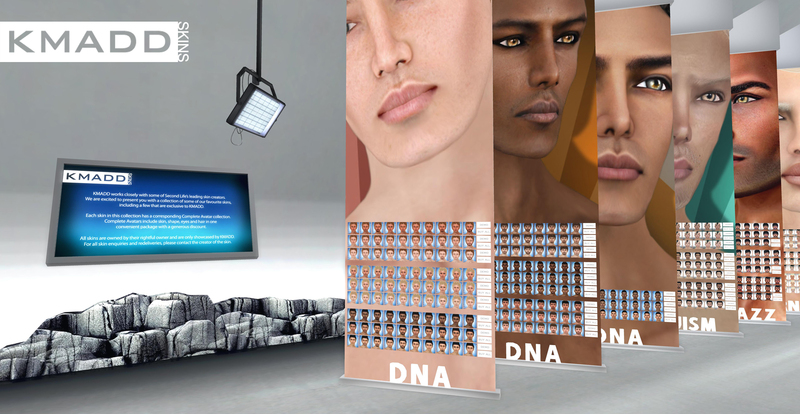 We got 10 skins for both male and female from leading skin creators all in one place in various tones and for any cultural background: Asian, African American, Caucasian, Middle Easterns, Spanish, Blonde, Redheads, Muscled and Toned. 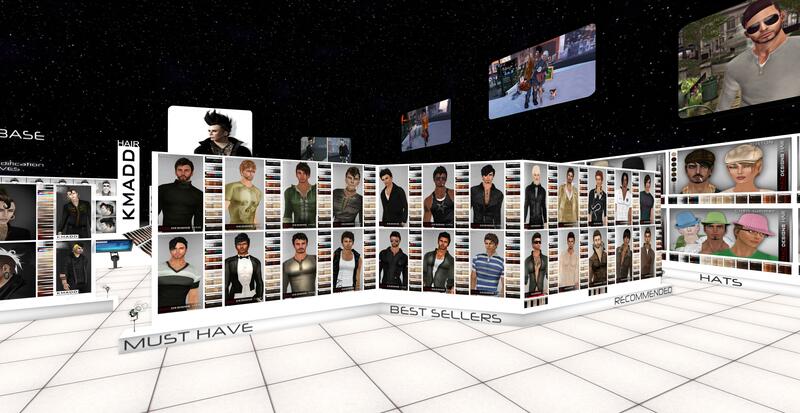 Our Complete Avatar collections is ever growing – join KMADD Enterprise group for future updates. 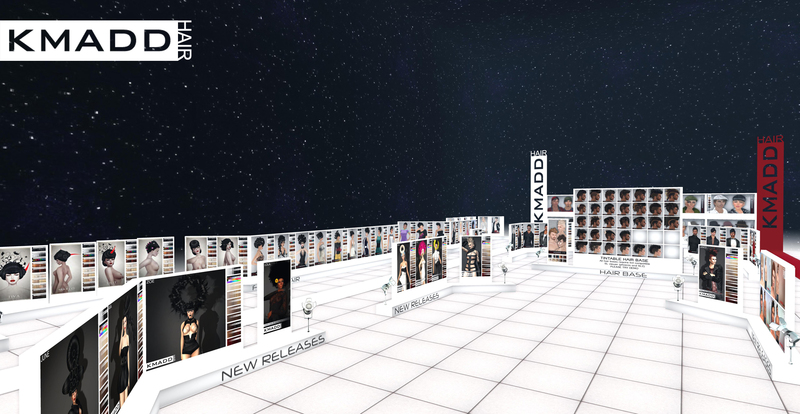 Glam Affair skins hand picked by KMADD are currently available @ KMADD with many more to come. TRON Collection and Fantasy collections are currently features as special collections in our store. International Men collection will return soon! Male & Female poses for all your modelling needs. Mesh ready poses are coming soon. 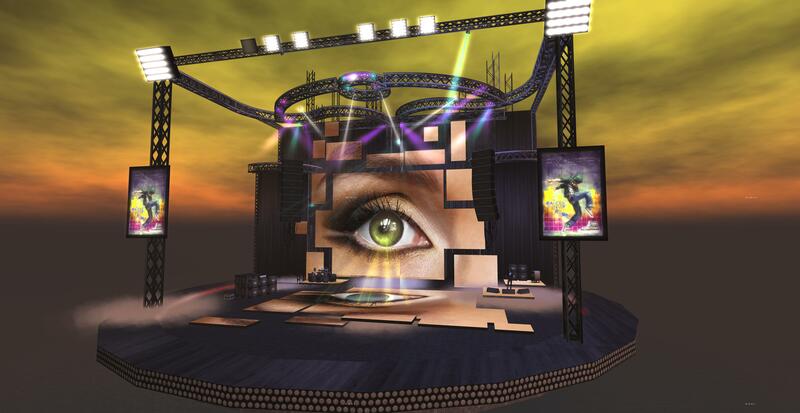 KMADD has the most comprehensive collection of shapes in Second Life. All our shapes come with KMADD hair and eyes + style! 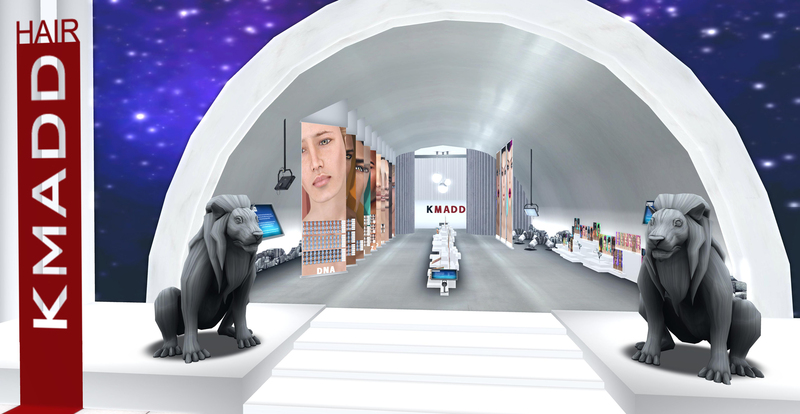 For new players it is often hard to discover new fashion stores, this is why KMADD is the best place to go for shapes that come with complete style card to get the look you like in an instant. 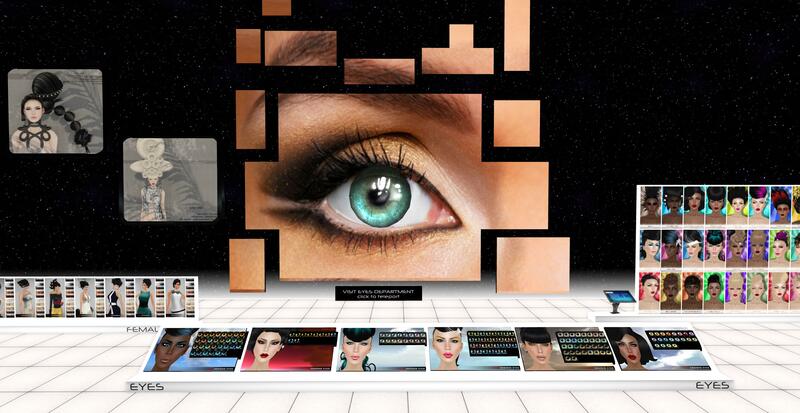 Over 25 collections of eyes for any occasion, time of the day or color! Eyes can break or make the look. 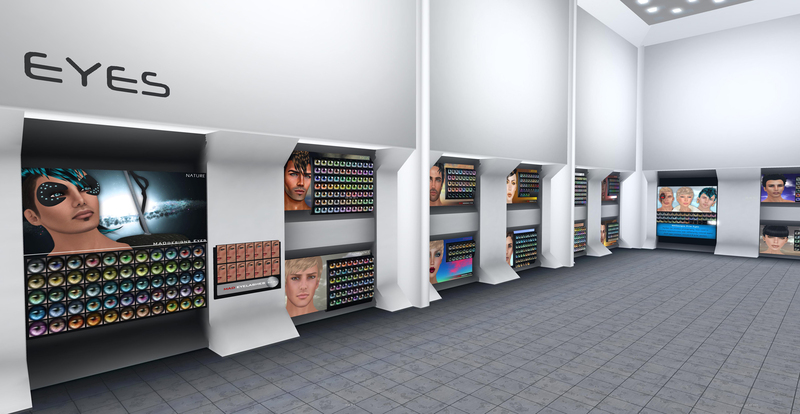 Let KMADD eyes add realism your avatars needs! 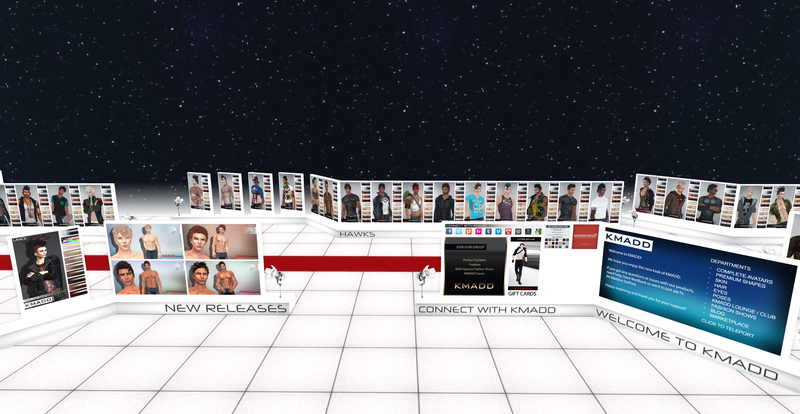 Over the years KMADD has won numerous fashion awards, was featured in ELLE Magazine and Maddox DuPont has made numerous shapes for celebrities entering SL. 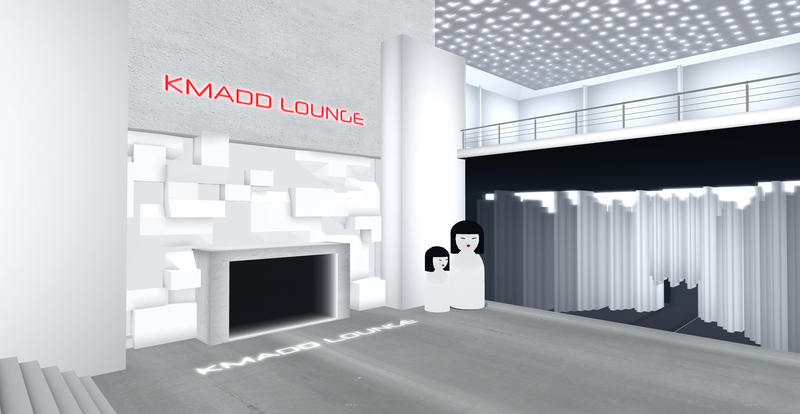 KMADD Lounge is the new place to dance or relax while you read a fashion magazine or are listening to our stream. Weekly sessions with DJ AFI are coming soon at KMADD. 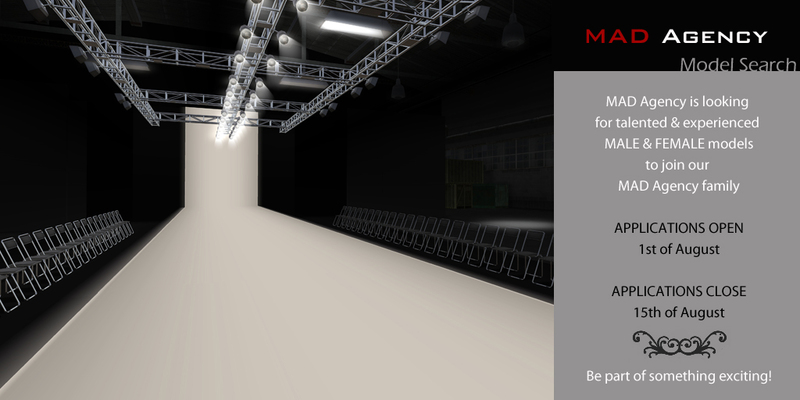 Also check out one of MAD Agency runways and subscribe to KMADD Enterprise group for MAD Agency will be back with new shows very soon. Will you be able to snap up all these hot limited edition exclusive finds? 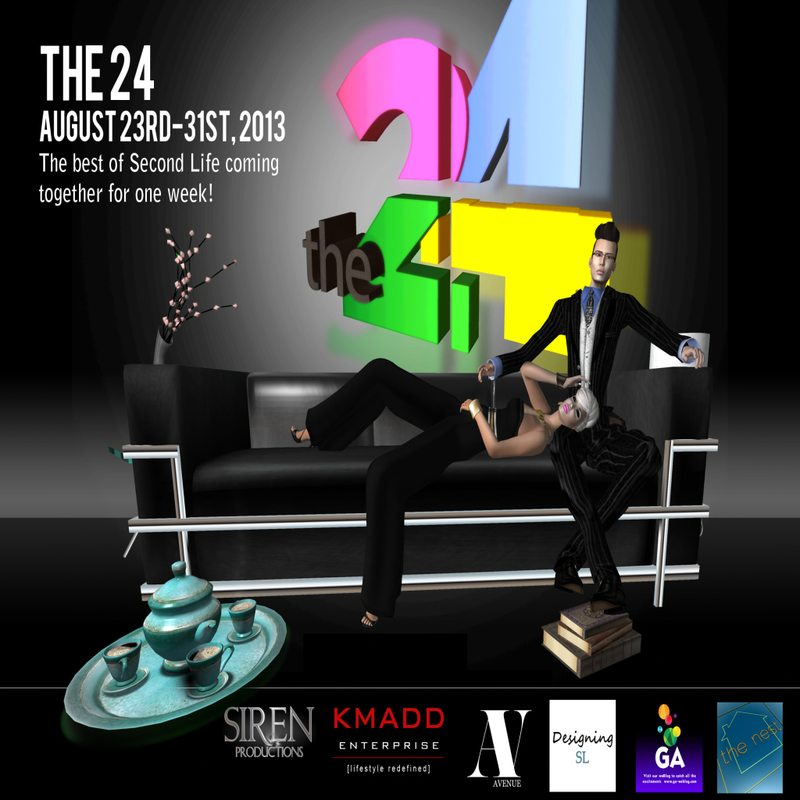 AVENUE, Designing SL, KMADD, The Nest, and The Gay Archipelago along with Siren Productions are excited to bring you The 24. 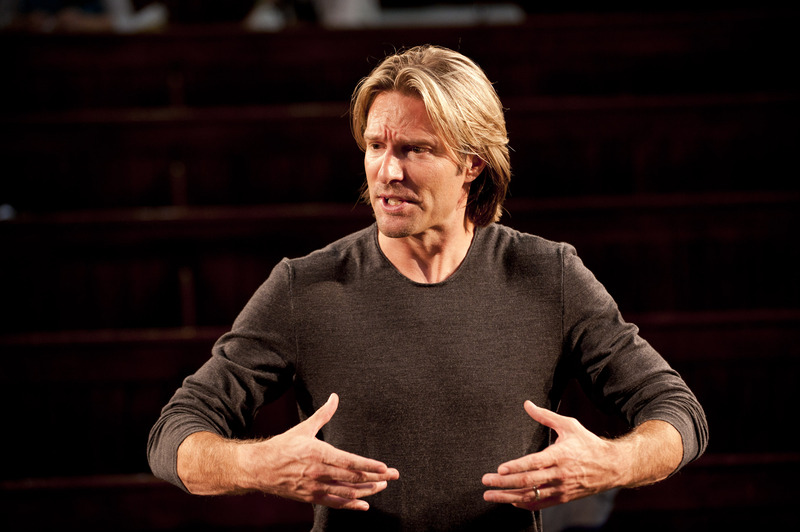 This wonderful event takes place August 23rd-31st, 20131. 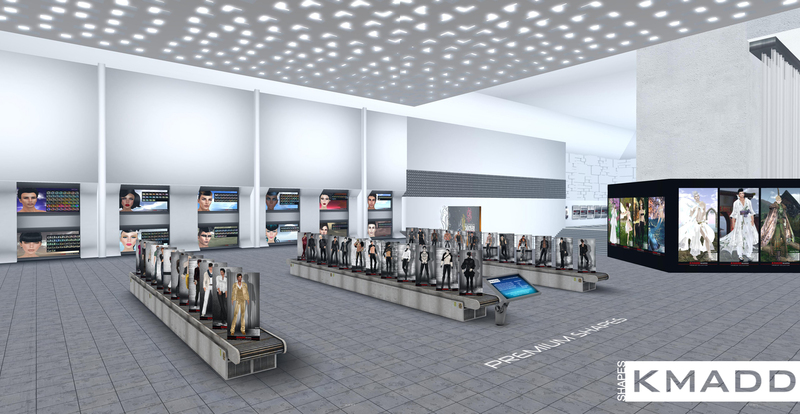 24 amazing menswear, womenswear, home, and pose designers have come together by invitation only to create Exclusive Limited Edition Outfits, Furniture, and Poses. 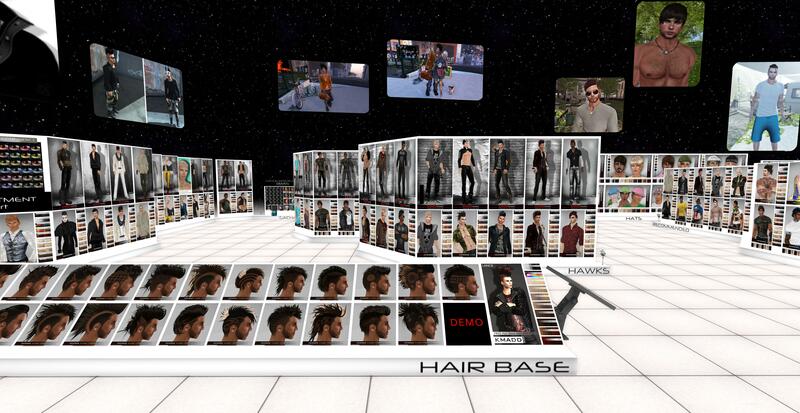 Joining them are 8 prominent Skin Designers, 8 Accessory Designers, and 8 Hair Designers creating limited edition exclusive hair, skins, and accessories all for the men and women of Second Life! 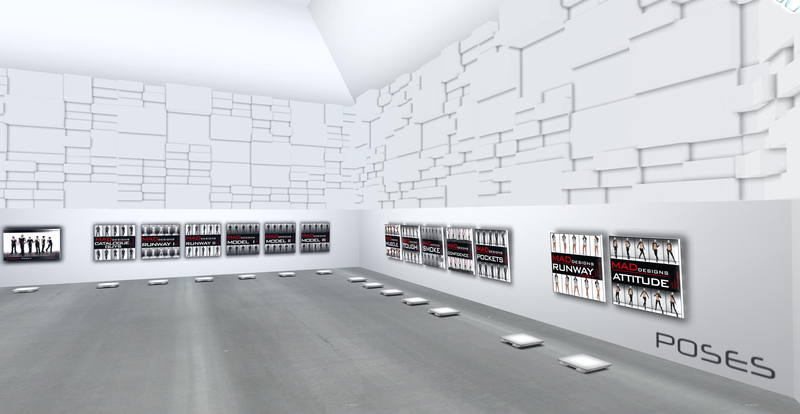 Join us for the Men’s opening fashion show on August 23rd, 2011 12-1pm SL and the Women’s opening fashion show on August 24th 6-7pm SL as we display all of the Exclusive Limited Edition Outfits on the Runway. Our home designers are preparing special vignettes to show off all their creative collections. Our pose designers are creating special props and pose sets for everyone for all those special photo moments. 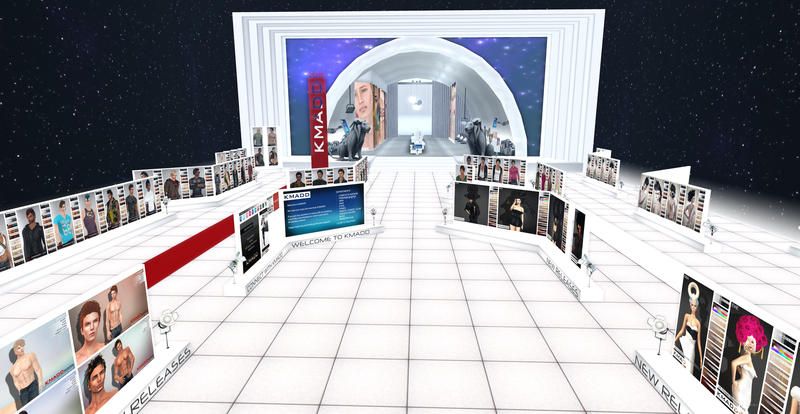 We have a load of treats in store including industry parties with all of our Media Partners KMADD, AVENUE, Designing SL, Gay Archipelago, Blithe, The Nest, and many more. Wonderful exclusive fashion shows, entertainers, and great events are just the tip of the ice berg! KMADD friends & fans gifts & best wishes are now on display under our Christmas tree. New Trails sponsored decorations & trees are throughout KMADD. 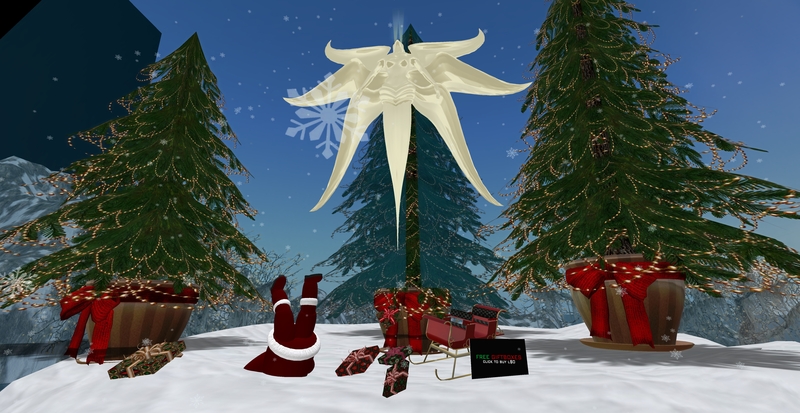 Free Snow emitter (pictured) was sent via KMADD Enterprise group notice this morning, join our group and claim it from past notices. And finally, last minute KMADD Gift cards are great idea for those picky friends we all have that like to choose their own gift. 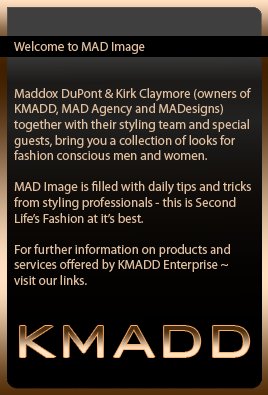 MAD Agency, a subsidiary of KMADD Enterprise, is conducting a model search. We are looking for trained, experienced MALE and FEMALE models to join our MAD Agency family. Model Search runs from 1st of August – 15th of August, 2010. If you believe that you meet our basic requirements you can obtain MAD Agency Model Search APPLICATION FORM at MAD Agency @ KMADD. All applications would need to be submitted no later than 15th of August. For all inquiries please contact Risa Bright, MAD Agency Director. We thank you for your interest & wish you the best of luck!